Amazon Kindle devices are more popular than ever. They provide access to a vast number of books which are available for a fraction of the cost of a physical copy. And they result in far fewer dead trees, and that’s a good thing. Entertainment subscription services are also becoming more popular. People are less concerned with owning their media outright and are increasingly numb to the issues surrounding DRM. Therefore, you’d expect a service like Kindle Unlimited to be awesome. It’s the best of both worlds, right? But Amazon’s promise of over a million ebooks for just $9.99/mo is too good to be true. Here are some reasons why. Amazon likes to trumpet that Kindle Unlimited has more than one million books available for subscribers to read. And while that figure is accurate, you won’t find many best sellers or popular books on the list. None of the major publishing houses have made their books available on Kindle Unlimited. That means no Penguin Random House, Hachette, Macmillan, HarperCollins, or Simon & Schuster. If you have a favorite author, there’s a good chance their work is published by one of these “Big Five”. Right now, there are more than 1.4 million books available on Kindle Unlimited. Of those, almost 1.3 million books are Amazon Exclusives. This means they’re not available for sale anywhere else; in other words, they’re all self-published. That leaves barely 100,000 non-exclusive books; it’s about 8 percent of the total. A large portion of these are also self-published, but some are likely to be from small publishing houses. While there’s nothing inherently wrong with self-published books, and success stories like Twilight and The Martian show there are some great books to be found, the lack of any books from popular authors is a problem. Most people don’t have the time or the interest to dig through the heap to try and find the next The Martian. You probably want to know that the books you’re reading are well-written, properly edited, and entertaining. The other side of this is even if you love reading indie titles, you’ve probably got a few major authors whose work you want to read too. For most people, Kindle Unlimited simply can’t replace buying books. If you want to pick up the latest George R.R. Martin or Bill Bryson title, you’ll have to buy them in addition to your Kindle Unlimited subscription. Although $9.99/mo may sound pretty reasonable for all-you-can-read-ebooks, when you consider the price of the titles available it’s actually quite expensive. The vast majority of self-published books on Amazon sell for less than $5. Many are less than $3 and some are even less than $1. This means that to make up for the $10 subscription fee, you’re going to need to read quite a few books a month. If you only read the most expensive titles you can find, reading two books a month will see you saving some money, but you’ll most likely have to read three or four to make a saving. While plenty of readers can get through a book a week without any hassle, the temptation to read non-Unlimited books is going to be high. Looking at the selection and the prices, it’s hard to see many people being well-served by a Kindle Unlimited subscription. If you like self-published books, you can easily pick up two or three a month for less than Unlimited costs, without the recurring payments. That way you can be far more flexible with how you spend your money. And don’t forget, there are lots of ways to get Amazon Kindle books for free, if you know where to look. The best thing about the Amazon Kindle is that, unlike your phone, it doesn’t need to be charged every night or constantly connected to the internet to be useful. If you use Kindle Unlimited, you lose some of this flexibility. With Kindle Unlimited you can only have 10 books checked out at once. While that sounds like a lot, for many readers, this simply isn’t enough for an extended period away from Wi-Fi. For example, if you’re on holiday, you might get through a book a day. And if one or two books prove to be boring, or short, or any of a number of other things, then those 10 books won’t stretch to a week. That means that at some point you will be off hunting for a way to connect my Kindle to the internet (unless you use the Kindle app to read books offline). If you’re an Amazon Prime subscriber you already have access to Kindle Unlimited’s library for free. You can only take out one book a month, but if there are a few titles you want to check out without paying for them, it’s a decent way to do it. Amazon Prime has lots of benefits, and it’s worth signing up for even without the free ebooks on offer. 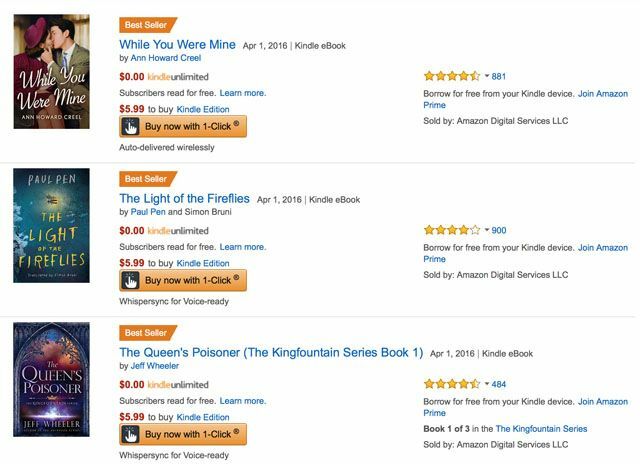 Unless you’re ripping through self-published Kindle Exclusives, an Amazon Prime subscription costs less and offers countless other benefits like free shipping, great Amazon Prime TV shows, and the underrated Amazon Prime Music streaming service. While Oyster was acquired by Google, Scribd is still around and for $8.99/mo you can read three books and listen to one audiobook. You’ll actually find books from bestselling authors like Stephen King or Walter Isaacson available for you to download. 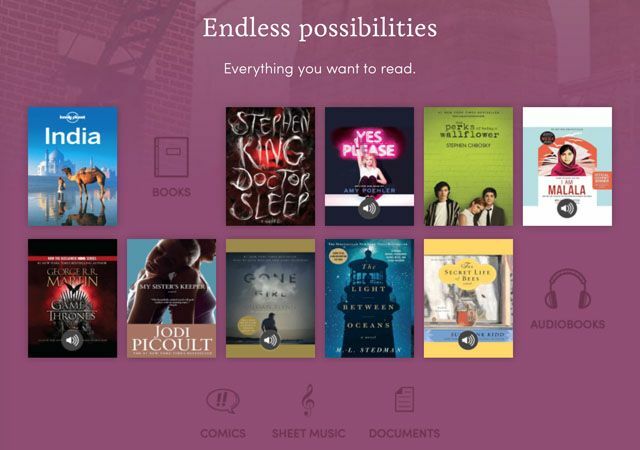 You can’t use your Kindle to read books you take out on Scribd—you need to use a web browser or an iOS or Android device—but that seems to be a reasonable trade-off for access to a far better library. If you want to sign up for an ebook subscription service that’s actually good, Scribd might be a better option than Kindle Unlimited. Kindles are amazing and ebooks are the future. But even though Kindle Unlimited is a great idea, it’s always going to lack the books most people want to read until the “Big Five” publishers come on board. But hey, if you still want to give it a try now, you can always sign up for a 30-day Kindle Unlimited free trial to see if you like it or not. If you were thinking about buying a Kindle Unlimited subscription as a gift for bookworms in your life, don’t. We have compiled a much better selection of gifts for Amazon Kindle owners.